Written by Josh French DC. As a sports chiropractor and an avid golfer, I have a particular interest in golf injuries. Earlier this year I completed the first level of the Titleist Performance Institute training programme, broadening my knowledge on golf swing patterns and common movement deficiencies that are associated with injury risk. There are a number of injuries that can occur due to time spent on the golf course or at the driving range. By being more aware of what these injuries are and how they can happen, we can reduce the risk of suffering from them and increase the time spent playing golf! When we are talking about injuries professional golfers are likely to experience, the chances are that it will be an overuse injury, mainly presenting in the wrists, shoulders or hips. However for amateur and recreational golfers, the injuries experienced are more likely to be due to golf swing patterns developed around physical limitations. 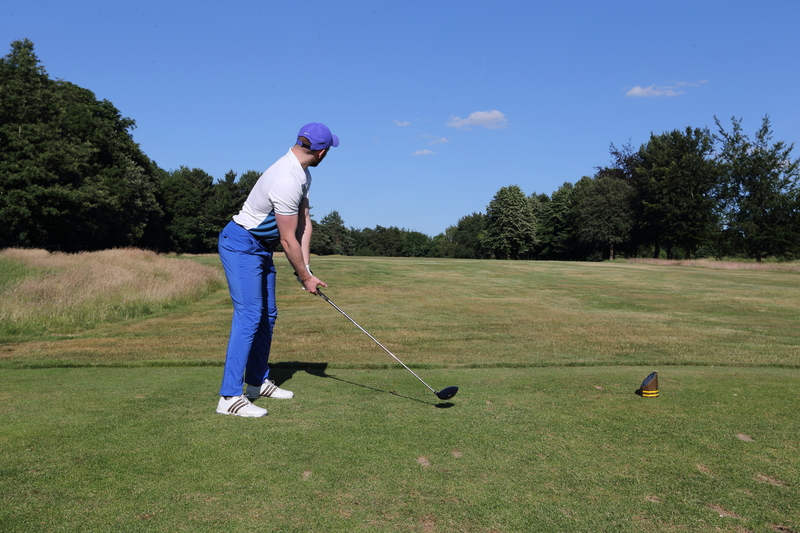 For example, if an amateur golfer has a particularly stiff mid back, they will have to swing in a specific way to minimise this physical limitation. Over time, the amateur golfer will over stress areas of the body and exacerbate pre-existing injuries. The most common injuries we see in amateur golfers are low back and elbow problems due to improper technique and bad movement patterns. This can begin in a variety of ways, but the most common reason for developing low back pain in the amateur golfer is a physical limitation in the hips or mid back which then causes the golfer to overuse the low back joints and musculature during the golf swing. Over time, particularly if this is combined with poor movement habits and poor exercise habits, this can lead to the low back becoming prone to injury. The best way to prevent low back pain from occurring as a golfer is to ensure that your technique isn’t being hampered by a physical limitation. Booking in to see a golf instructor or a health care professional with golf specific knowledge is definitely money well spent as they can help you to become aware of any physical limitations and prevent injuries from happening in the first place, allowing you to spend more time on the golf course free from pain. Other useful preventative measures include regularly exercising the muscles in the low back and “core” using a variety of exercises such as the dead bug, bird dog and cat camel. Examples of these exercises can be found on YouTube. On top of this, exercise classes such as Pilates can be a valuable way to strengthen the necessary muscles that will help you to play the game of golf with less pain and improved performance. Similarly to low back pain, elbow pain in the amateur golfers tends to develop due to improper swing mechanics that cause overloading of the muscles around the forearm. You may have heard of the term golfers or tennis elbow. These conditions describe a tendonitis of the muscles on the outside or inside of the elbow respectively. Tendonitis essentially describes inflammation of a muscular tendon due to overuse. Sometimes players develop tendonitis due to a sudden increase in playing or practice time. To avoid this, it is always best to make gradual changes to playing frequency to allow the tendons the chance to recover and strengthen over time. The best way to recover from tendonitis is graded rest. This might mean some time away from certain golf strokes temporarily, but don’t let it stop you from playing altogether. Now might be the perfect time to practice your short game and putting. Apart from rest, the best thing you can do is to perform some exercises with the goal of strengthening the tendons in the forearm and wrist and allow them to become more injury resistant. At the end of the day, if you have any aches or pains or general concerns about your health and golf, it is always worth booking in to see a specialist in these areas, whether that be a golf instructor or coach or a healthcare professional like a golf chiropractor. Staying relatively injury free will give you more time on the course and a greater quality of life. 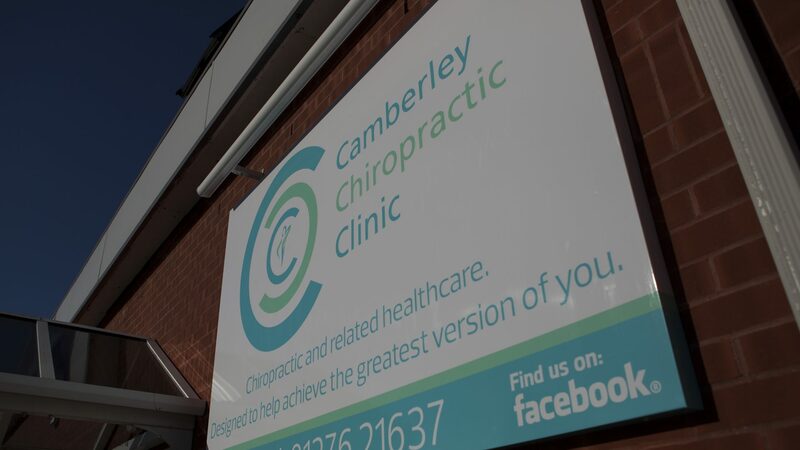 Contact reception on 01276 21637 or via email at reception@camberleychiropractic.co.uk to book your FREE 20 MINUTE ASSESSMENT and find out how Chiropractic can help you! ⟵Good posture is so very important, but why?